Get out of town with these interesting Seville side-trips: Ronda (Reservatauro Ronda, El Tajo de Ronda, & more). Next up on the itinerary: take in nature's colorful creations at Royal Alcázar of Seville, explore the world behind art at Museum of Fine Arts, Sevilla, admire the landmark architecture of Metropol Parasol, and indulge in some culinary diversions at a local gastronomic tour. 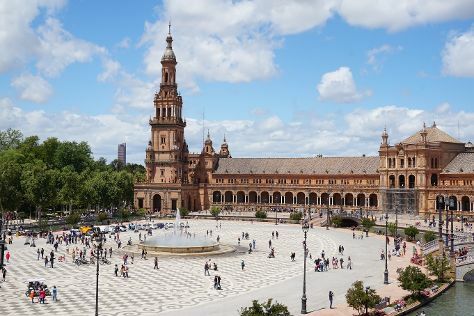 For more things to do, where to stay, traveler tips, and other tourist information, you can read our Seville trip planner . If you are flying in from France, the closest major airports are Sevilla Airport, Jerez Airport and Málaga Airport. In April, daily temperatures in Seville can reach 24°C, while at night they dip to 13°C. Cap off your sightseeing on the 17th (Tue) early enough to travel back home.